The boyfriend of the missing ex-EastEnders actor Sian Blake may have fled to Ghana, it has been reported, after police revealed they had found three bodies in the garden of Blake’s home.The Metropolitan police has referred itself to the Independent Police Complaints Commission on Wednesday, amid concerns that officers were slow to treat the disappearance as high risk. Blake, who went missing before Christmas with her two sons, eight-year-old Zachary and four-year-old Amon, was in a relationship with Arthur Simpson-Kent, who disappeared a day after police spoke to him about his missing family. 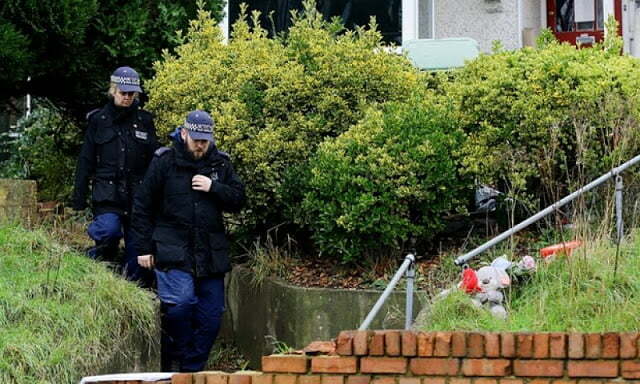 Three bodies were found on Monday in the garden of Blake’s home in Erith, south-east London, and have not yet been formally identified. Simpson-Kent left the UK for Ghana before Christmas, via Glasgow and Amsterdam, the Sun reported. Both Interpol and Scotland Yard refused to comment on whether an international alert had been issued to find him. A Facebook page for Simpson-Kent gives his home town as Cape Coast, Ghana. Simpson-Kent’s professional website claims he has been a hairdresser for more than 18 years, doing film, fashion and TV work. He describes himself as “freelancing for most of his working life and … a true professional”. Simpson-Kent married Dominique Deblieux in east London in 1999 and the couple had one daughter. Deblieux, who now lives in Cagnes-sur-Mer, southern France, told the Sun her ex-husband also had several other children. She called their marriage “a waste of time”. The Met’s internal investigators are examining the handling of the case to establish whether the decision to treat the disappearances as suspicious was escalated quickly enough. The case is expected to be handed to the IPCC. Blake and her children had not been seen since 13 December. Officers spoke to Simpson-Kent at the family home in Erith on 16 December. He has not been seen or been in contact since then. A missing persons inquiry was launched two days later, but was not classed as high risk. Police returned to the couple’s property that day and forced entry as there was no answer at the door, but did not discover the bodies. Scotland Yard has declined to elaborate on how many more times police searched the house. On Sunday, police found Blake’s silver Renault Scenic in Bethnal Green, east London, 15 miles from the family home in Erith. Officers said they were unsure why the vehicle was parked in the area or who had driven it there. It was only on Monday, three weeks after Blake and her children’s disappearance, that murder squad detectives took over the case and the police revealed they did not know the whereabouts of Simpson-Kent. Blake, who played Frankie Pierre in the BBC soap in the 1990s, had motor neurone disease and was said to be very frail at the time of her death. Another neighbour said she had never seen Simpson-Kent. “He just seemed like a man who kept himself to himself, never really much left the house,” she said.